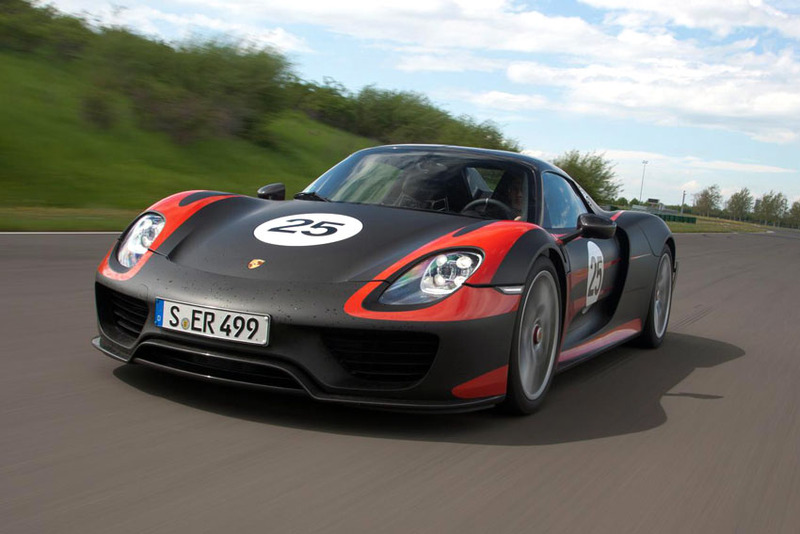 The Porsche 918 Spyder is celebrating its debut at the International Motor Show (IAA) in Frankfurt, Germany. The super sports car with plug-in hybrid drive is not only a technology pioneer but also marks the beginning of a new era for sports car manufacturing. Never before has a super sports car designed for everyday use offered such an impressive bandwidth of dynamic performance combined with the fuel consumption of a compact car. In setting this technological benchmark, the Porsche 918 Spyder is taking on a pioneering role similar to that of the 911 when it was first unveiled at the IAA 50 years ago. Appropriately, in honour of this anniversary, Porsche is presenting the limited edition '50 years 911' model. Based on the 911 Carrera S, this latest version of the iconic coupe combines traditional 911 features with state-of-the-art technology. On the subject of icons, Porsche is completing its line-up of sports cars at Frankfurt with the public unveiling of the new 911 Turbo - which, in turn, is 40 years after the turbocharged 911 was first shown.